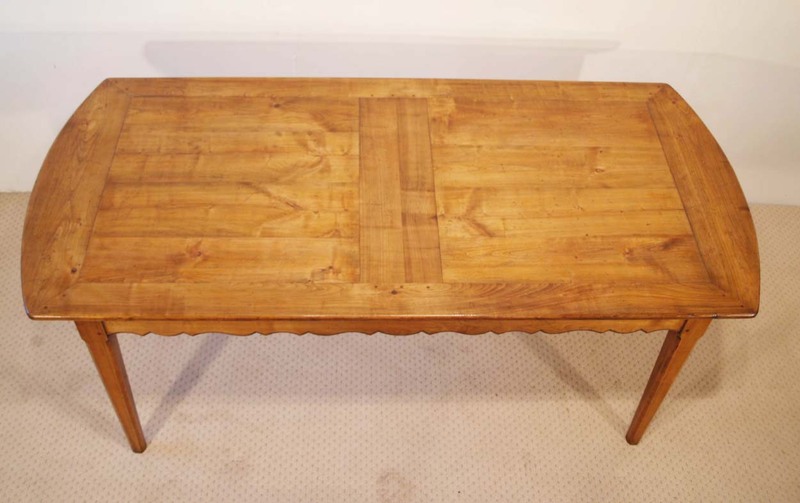 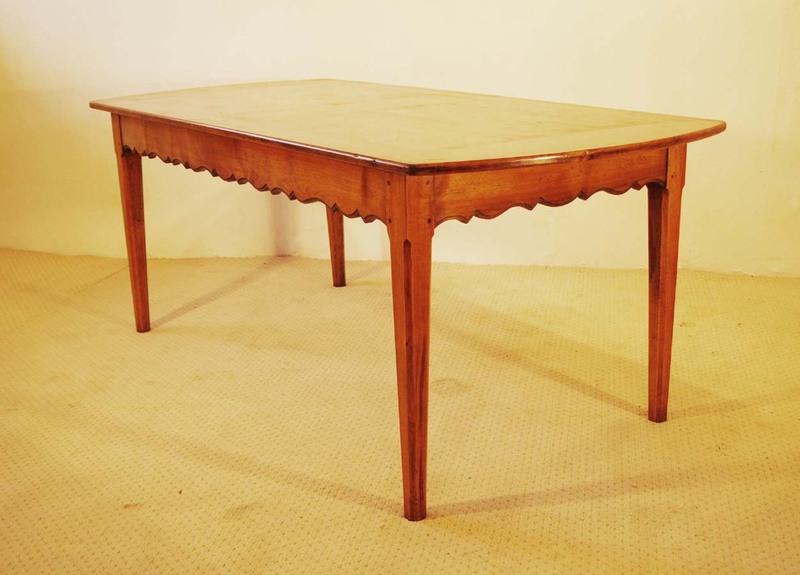 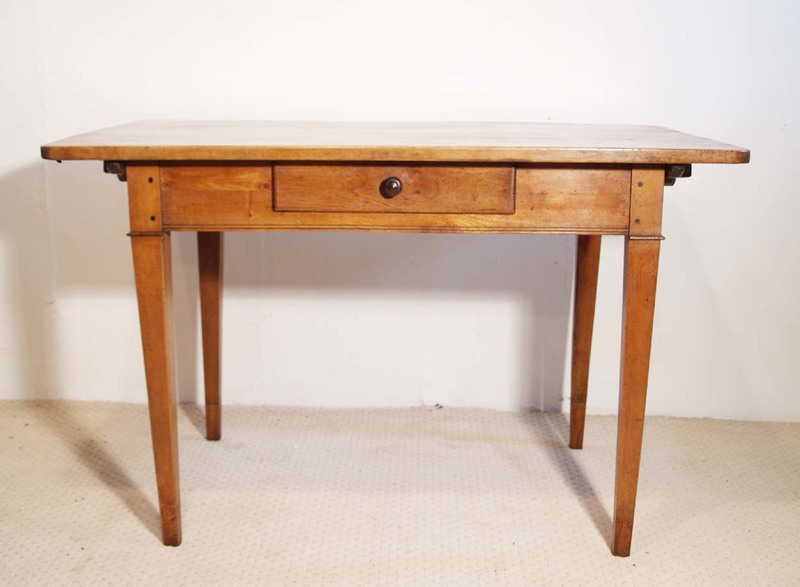 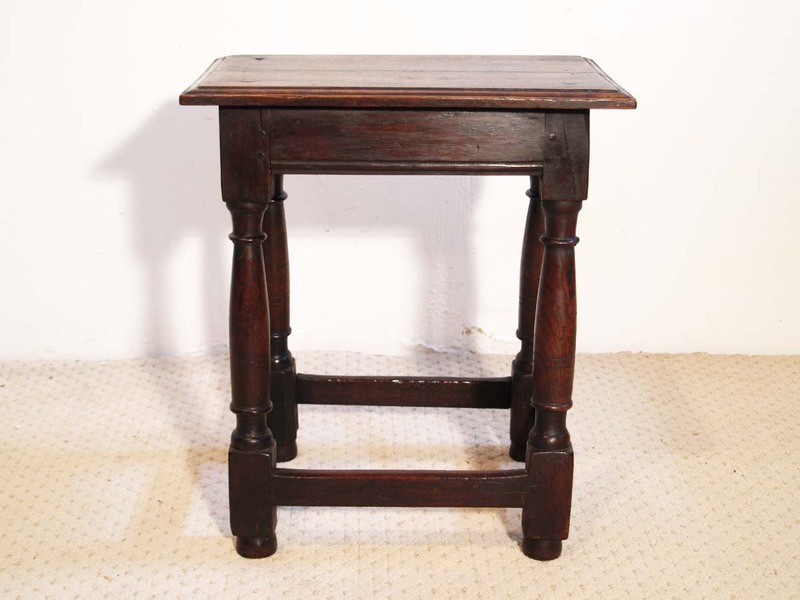 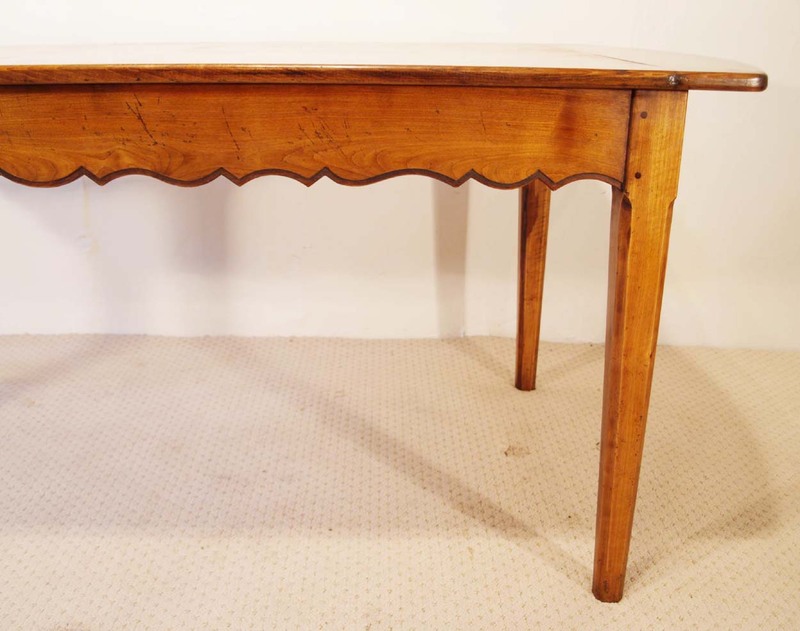 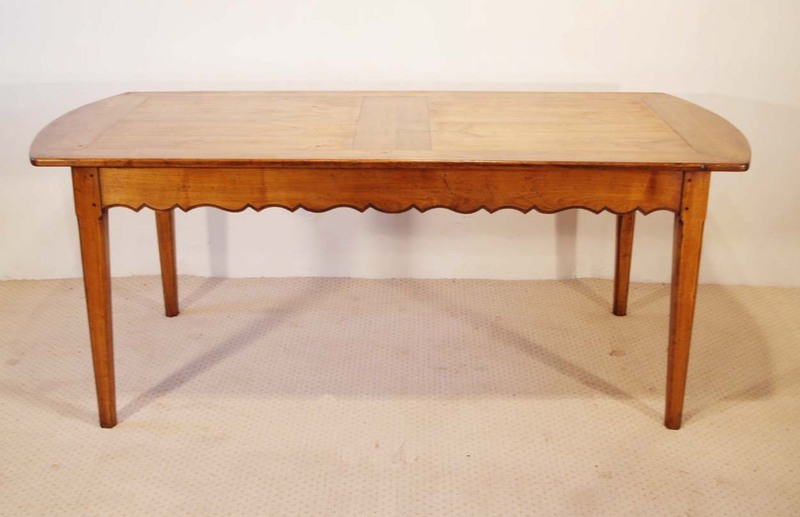 A lovely French antique style cherry farmhouse table, originating from the Provence region of France and although not antique, it is hard to tell that it is not. 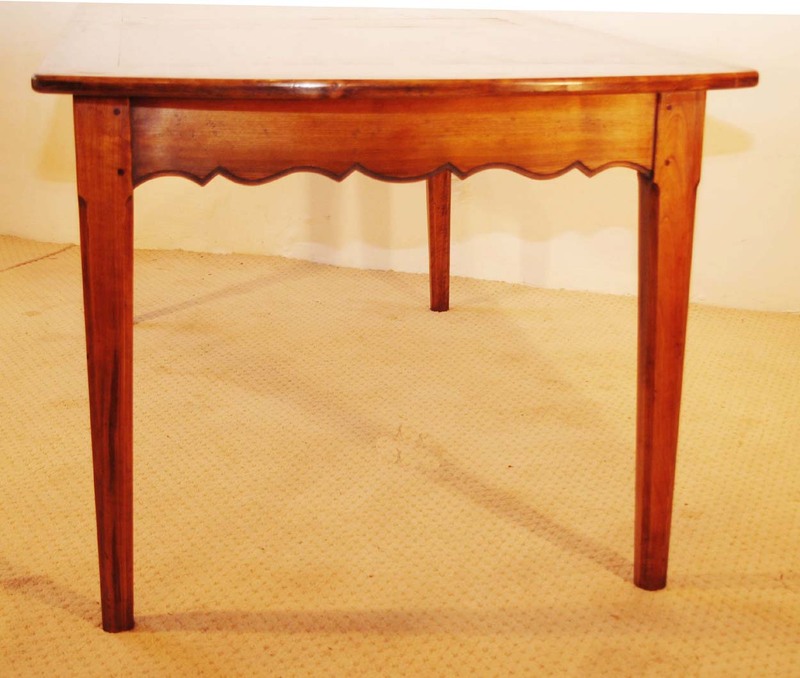 The top, being mitre framed, ” coup onglet “, has 2 panels, with cleated D ends, giving it a certain elegance. 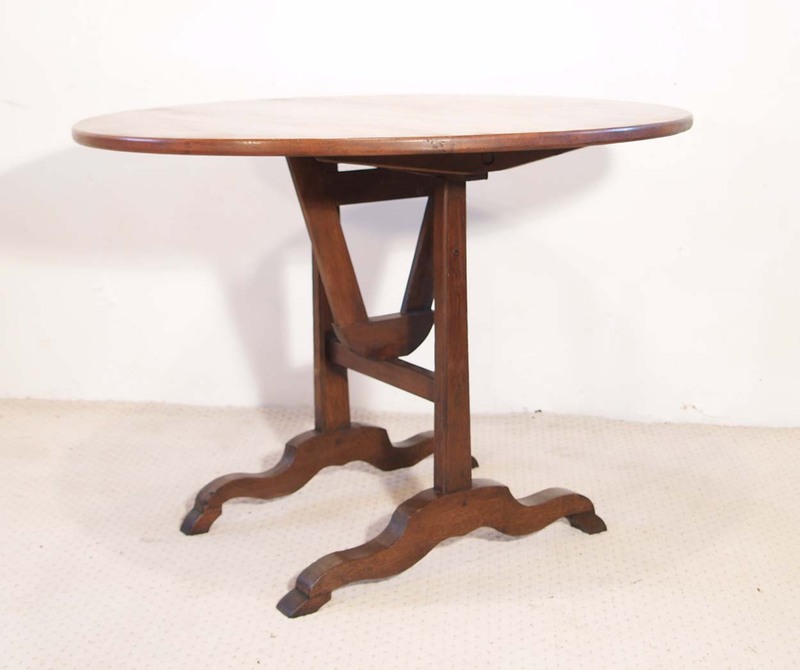 The base sits on chamfered, tapered legs, “pieds fuseau biseau”, with a scalloped frame to the sides and ends. 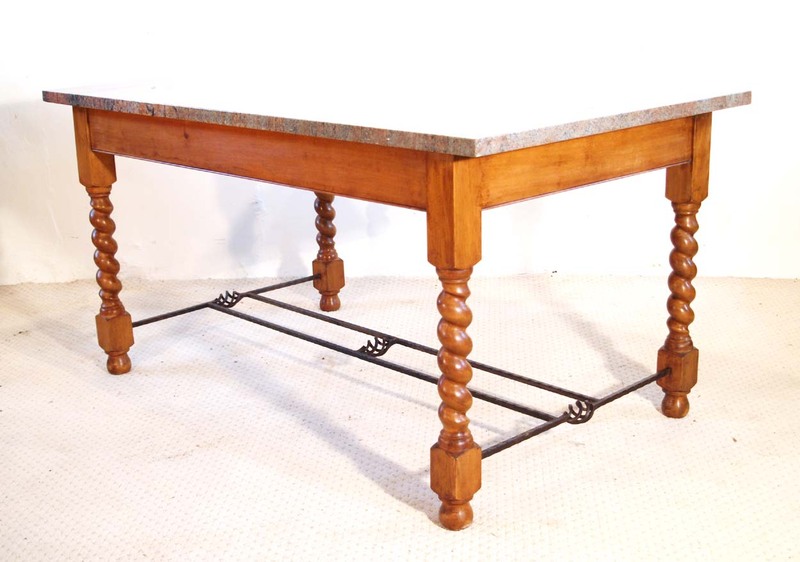 An extremely unusual table, probably never to be found again. 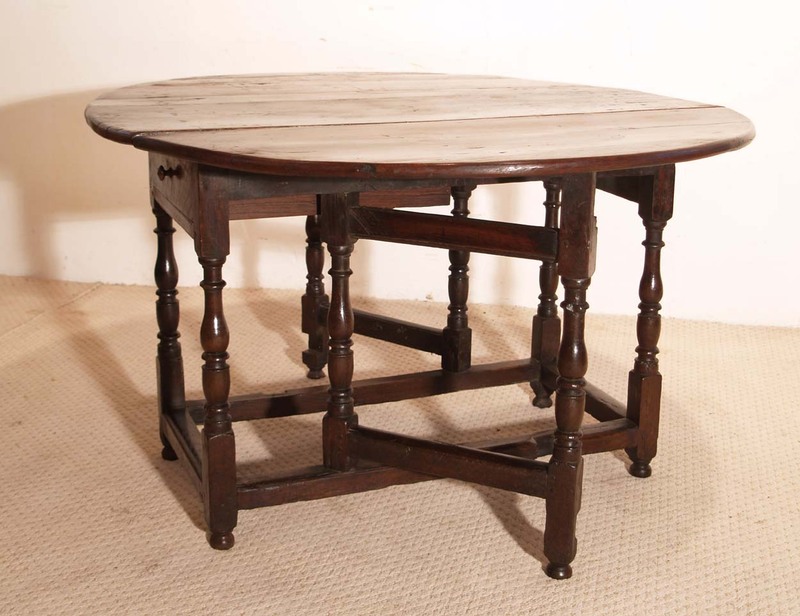 Dimensions: 193 cm ( 76″ ) long x 90 cm ( 35.5″ ) wide x 76cm (30”) height.